The centre of Shetland is a land of fertile valleys, deep lochs and long voes stretching north from Scalloway, once the islands’ ancient capital. The village has a natural harbour protected from the stormy Atlantic Ocean by a clutch of islands, large and small, lying to the south and the west. 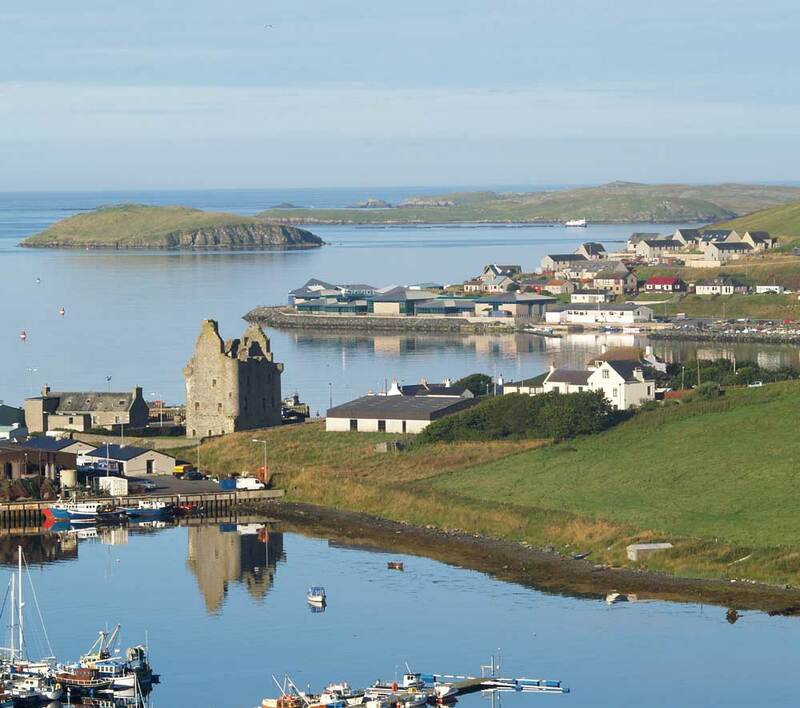 The three main isles of Trondra, West Burra and East Burra were connected to the mainland by bridges in 1971, since when they have helped to make this area one of the most popular parts of Shetland to live. There is much history to be explored in this stretch of land from the mysterious eighth century stones of Papil to the modern memorial for the World War II Shetland Bus heroes, and includes the centres of Viking government and medieval Scottish rule. The scenery is spectacular with some of Shetland’s finest views and best beaches. There are trout lochs, golf courses, museums and galleries and the closest thing to a forest to be found in these windswept islands.